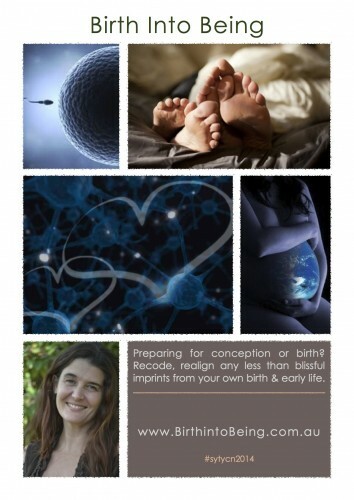 Preparing for conception or birth? Recode, realign any less than blissful imprints from your own birth and early life. I’m going to give this a 9. This feels really clear for me. This is an example of picking a specific target market (those with cancer) and then offering them a very specific thing (e.g. helping them see how food sensitivities may be hampering their healing despite their best efforts). So, your ideal clients are clearly going to be those with cancer who are open to this type of thing or, even better, craving to learn about just this thing. The other piece I’m curious about is the “when.” When is the perfect moment for you to show up? Is it when they’ve been diagnosed? During chemo? After? Maybe all? But wondering if there’s a perfect moment for you. Thank you so much for bringing this vital, missing piece of the conversation forward. Ok. I give this a solid 6.5. What’s super, duper clear is the “who.” Women preparing for conception or birth. I immediately know if I am in that group (nope!) and if I know people in it (yep!). So, that’s a solid 8.5 for me. But, after that, it starts to get a bit fuzzy for me due to jargon. What do the words recode and realign mean in this context? What is being recoded and realigned? Imprints? What are those? What do they have to do with the current situation? What you’re implying here (if I follow) is that unresolved painful experiences from our birth or childhood could have negative effects on our ability to give birth in an optimal way. So, one of two things is true. Either that you’re wanting to specifically target women who are lying awake at night thinking, “I’m getting ready to have a baby and I’m fully aware that I have a tonne of unresolved stuff from my past and I don’t want that to get in the way of me being an amazing mom so I want to deal with that.” Which is amazing. If that’s the case, the above articulation would reach them just fine. The other possibility is that you’d also like to reach women who aren’t yet consciously aware of these things. In that case, some rewording is needed. In the latter case, I want to know more about their symptoms or what they’re craving. What’s keeping them up at night that would have what you’re offering be relevant? Are they scared of birth? Terrified to be a mother? Having anxiety attacks? Do they want to have the kind of birth and be the kind of mother they never had? I’d love to hear more about all of that. This is such beautiful and important work. Thank you for doing it. 9/10: Nice layout, and interesting niche, I love birth into being its very catchy, explains everything well. . .
6/10: I’d give this a 6 because it’s clear it’s talking to mamas wanting to get pregnant or already are. Even as a hippy natural birthing mama of 4, who’s done loads of healing work, I still have to read and reread the words used to “get” what you what do, though. The words are beautiful, and so gentle, but they are not words that moms use to describe their own struggles or wishes for their birth, in my experience. I definitely think it’s important work, and can be included in your transformational programs, but I do see a need to use the language of your clients/potential clients. How do you personally recognize a pregnant woman who needs to recode/realign her own birth/early life? What kinds of things does she say, what is she afraid of, what does she worry about? 7/10: How many women realise they have these imprints? Intriguing pictures, inviting smile – I think you should be allowed much more than 120 characters. Mainly to tell the benefits of your work. Being in your line of business, I know it’s wonderful work. Hence 7+1! 7/10: I get the feeling of it and the what you do and I imagine women about to birth, but – and I know so many pregnant ladies – I want to know who would most resonate with your approach and what kinds of imprints you are best at transforming with them. So, I give it a 7. 6/10: Needs to be clearer. I’m in this niche. Is there a specific less-than-blissful experience you had, that I can *know* for sure you can help me with? This wording makes me do the work of thinking of all my stuff, and leaves me wondering whether you can handle it. “Less than blissful” seems like sugar-coating, humorous, or not-stuff-I’d-need-help-with. But probably it’s just an effort to keep it light and general – the opposite of niching. Are you allergic to getting 100% wonderful referrals who love you and tell others about you, but who are only pre-conception or only already pregnant? Seems like 2 markets. Good markets. Full ones. Do they both have hubs? If you try on only one at a time, you’ll find a lot more resonance! And remember: conceiving clients don’t always become pregnant clients, and might not be heartened to see pregnant clients in the waiting room. But careful scheduling can prevent that, and a focus on pre-conceiving clients can still result in you having pregnant clients. Seems like you definitely work with first-time mammas, and not ones who have miscarried or aborted. Those last two are niches in need of comfort, in my experience, but not necessarily good for WOM marketing, as long as it’s taboo. However, if you work by phone, you could afford to blow a taboo out of the water and not depend on local (conversational) referrals alone. Women would rally around not only their own healing, but the cultural healing at hand with regards to “failing” – BIG stuff.